Millions of us make resolutions, promises and commitments to better our lives. Individuals promise themselves that they will go on a diet, exercise more, stop smoking or make more money. Each person really means it at the time but about 90% of them fail. You may even be one of them. The good news is, there’s a reason this keeps happening to you – and you can do something about it. If you have ever failed at sticking to a New Year’s resolution, diet program, or other self-improvement project… the first mistake was making a change without planning for it. You probably assumed that willpower alone would be enough when, in fact, you were making it much harder for yourself. After all, there were people, things and events in your life that encouraged the very behavior you were looking to change. If you’ve been to a workshop, seminar or coaching program you’ve probably seen that your resolve, energy level and sense of commitment are extremely high at the time; that’s because you were away from your normal environment. Once you returned to your own reality the desire and wherewithal begin to fade to the point where you may not have done even one of the things you swore you would during the session. Stress is another strong prompt to resume unproductive habits so wherever you can avoid that annoying acquaintance, refuse to engage with a business partner who loves to argue or stop discussing finances during dinner. You will be amazed at how many of these circumstances you can change. Also recognize that the few you can’t are going to prompt ingrained habits that impede success. If you have a plan in place you will have tools and new behaviors to help you respond differently. 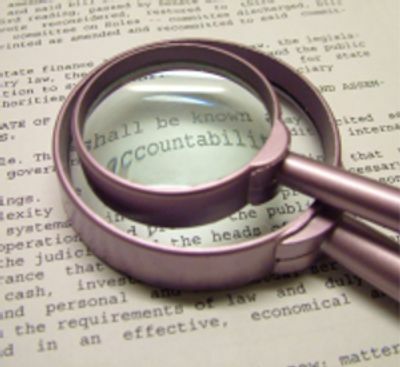 The other significant mistake most people make is that they really don’t hold themselves accountable. They convince themselves there are no great consequences to their actions or non-actions. For example, one day you may say. “Got to get something else done, so I can’t today, I’ll be better tomorrow.” Then tomorrow comes and you find another excuse not to do what you promised you would. Accountability is the most important aspect of the way we interact with others. Government gets held accountable, as do corporations who have to answer to disgruntled shareholders and teachers give demerits to school children that don’t turn homework in on time. People need to understand that personal accountability is just as crucial to attaining business and personal success. When we don’t keep our promises we are met with our own fate. We don’t get healthier and our lives don’t get better. People stop trusting us, especially in business. Even something you see as a small issue, like being chronically late, can have a tremendous effect on what people think about you. After all, when you can’t even keep your promise to be on time it colors the decisions others make about giving you added responsibilities and opportunities. In sum, if you’re not your word, what are you? 1. Break long term goals down into monthly, weekly and daily commitments for yourself. 2. Find an “accountability partner” and set up a process for saying your goals aloud to that person every day. Make sure he or she also knows how well you did at meeting yesterday’s objectives. 3. Set up consequences for not meeting your goals. It can be as simple as not playing golf that day or not buying something you want. With the right environment and accountability process in place you will be ready to set much bigger goals and meet them.